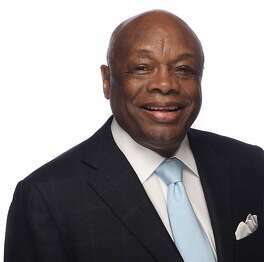 Willie Brown Feb. 9, 2019 Updated: Feb. 9, 2019 7:25 a.m.
Polling after the State of the Union speech showed that President Trump has once again connected with at least enough voters to make him a 2020 favorite. During the partial government shutdown over whether to fund Trump’s wall on the southern border, House Speaker Nancy Pelosi suggested that the president deliver the annual address alone, from the Oval Office. Alone, Trump is a frump. In front of a crowd, he’s electric. No matter what you think of Trump’s message, his delivery was impressive. He stayed on script and kept referring to everyday heroes in the gallery, thus forcing the Democrats to stand and cheer. It was populist theater, where presence and impression trump content. And the overnight polling after the speech showed that once again, he connected with voters, at least enough voters to make him a 2020 favorite. Nearly four years ago, when Trump announced his candidacy for president, I said he had a winning hand. He still does. So we Democrats really have our work cut out for us. If he carefully picks his fights, Trump can turn the light back on Democrats and force us to defend our progressive wing’s “socialist” positions like health care for all, housing for all and guaranteed income. Our candidates will have to pull further and further to the left to satisfy the party’s activist constituency, much like Republicans did in response to the rise of the Tea Party, and probably with the same results. Our congressional efforts in 2018 benefited from Republican candidates’ inability to defend their relationship with Trump. But Trump can defend his relationship with himself very effectively. We know we can win California and New York. The question is: Can we win the states we lost in 2016, or do we preach to the choir in an empty church? The Franken Rule: The ghost of former Minnesota Sen. Al Franken has descended on Virginia, and there will be hell to pay. When Franken was forced to resign by fellow Democrats over a photo of him leering over a sleeping woman taken years before he was elected, it reset the bar for everyone. Now, the Democrats in Virginia who were on the threshold of securing that state for the next presidential run are in total disarray. They have a governor and attorney general who did themselves up in blackface years before they took office, ancient mistakes by people who apparently have had otherwise exemplary careers. They now find themselves in front of media firing squads, thanks to the Franken Rule. The party could survive that, except for a wild card that’s much, much worse: They have a lieutenant governor accused of sexual assaults by two women. If all three Democrats go down, a right-wing Republican speaker of the House stands to take over the governor’s office — and who knows where the state goes in 2020. For lease: Let’s hope San Francisco Supervisor Aaron Peskin’s call for a vacancy tax can motivate landlords to be a bit more accommodating about all the empty commercial retail space downtown. It’s really alarming when a third of the stores on Sutter Street have for-lease signs rather than displays in their windows. It’s even worse to see public garages, many of them financed by revenue bonds, with the first-floor retail space vacant because the trustees are acting like for-profit landlords. Walking tour: The shutdown of the Richmond-San Rafael Bridge on Thursday turned downtown San Francisco into one big parking lot. Every block was crammed with cars and buses. Pedestrians jammed the sidewalks. Even the California Street cable cars shut down. Yet, as I walked and walked, I did not hear one shout or horn blast in anger. Almost as amazing as football-size chunks of concrete falling from a state-owned bridge. But hey, that’s the Bay Area. Between non-White votes and oppressed identity class votes the democratic party is heading towards a majority in this country...........but. Blacks and Brown self interests?...................Muslims and Feminist? Don't get me wrong. I like President Trump. Just remember how close the last election was. Considering the reputation of that Dem candidate?? She barely campaigned at all. Don't underestimate the enemy or the ignorance of the young and gullible. For years, Democrats have fallen over themselves to defend Latin American communist dictatorships. Who can forget Rep. Maxine Waters's apology to the Castro regime for the U.S. on her pilgrimage to Cuba or Rep. Jim McGovern's secret collaborations with Colombia's Marxist FARC terrorists or New York mayor Bill de Blasio's "help" to the Nicaraguan Sandinistas or Sen. Bernie Sanders's open praise for Hugo Chávez's Venezuela? And don't forget Joe Kennedy's Dial Joe-4-Oil, which was a gusher of propaganda praise for Venezuela's oppressive socialist regime. They've always gotten away with it. Until now. They suddenly are realizing that the Maduro-lovers and Trump-resisters in their ranks, who happen to be some of their biggest "it" girls with the loudest voices — Rep. Ilhan Omar, Rep. Alexandria Ocasio-Cortez, Rep. Tulsi Gabbard — have supported Venezuela's detested Maduro regime in recent weeks ... and it's not just them. Other Democrats are also in their tree - think of old dinosaurs such as Chicago Mayor Rahm Emanuel, who was all worried about the U.S. invading Venezuela, and Silent Ted Deutch representing south Florida in Congress. Supporting a socialist regime just seems to come natural in the Democratic Party. And for that, they're all kissing the purple swing state of Florida goodbye for the Democrats in 2020. Venezuela, not Cuba, now dominates Miami's political conversation. A television anchor not long ago ended a somber segment with a promise to keep praying for the troubled South American country. Venezuelans in the city have gathered for demonstrations to coincide with protests back home. Even the Miami-Dade County Commission, a local body with no control over foreign policy, voted unanimously to recognize the opposition leader Juan Guaidó as Venezuela's interim president. The shift has been coming on gradually for years, but it has accelerated in recent weeks as Venezuela has sunk further into crisis and its leftist president, Nicolás Maduro, has clung defiantly to power. The showdown in Caracas is reshaping Latino politics in South Florida, home to the highest concentration of Venezuelans in the United States. The change is not a mere demographic curiosity. In Florida, where major elections have repeatedly been decided by tiny margins, an inflection point around Venezuela's leadership could help define a generation of Venezuelan-American voters, who number in the tens of thousands in this state. President Trump is pushing Mr. Maduro to step aside, and if he succeeds, Democrats fear it could transform Venezuelan-Americans into loyal Republicans, much like Cuban-Americans. What politician of any smarts couldn't see that happening? In Omar's case, I think Russian sponsorship is worth looking at, but the others just don't seem to think about these politically strategic things at all. To ditzes such as Ocasio-Cortez and Gabbard, Venezuela is a cartoon drawing on a map mainly useful as a chit for beating President Trump with, even if it involves supporting Russia. And as for how Venezuelans feel about these things, well, the place is socialist and they support socialism, so 'nuff said. Not one of these people considers the feelings of the Venezuelans, or considers that there are living, breathing Venezuelans in Florida. Remember those three million Venezuelans who have fled their country? Well, yes, some have ended up in Florida, with a strong enough presence to swing the vote. The Times mentioned that the other Latinos in Florida tend to support them — Colombians, Nicaraguans, Bolivians, Puerto Ricans, Argentines, and of course Cubans, which magnifies their numbers. These people are a critical mass in Florida, and they know the deal in Caracas.